polish fixation: Indie Sportlight: Starrily! Hey guys! It's good to be back! Hopefully I will be back to posting on a somewhat normal schedule after today, possibly a day or 2 less per week for a while, but I won' t disappear again! Today I have a polish from the Indie maker Starrily! The polish that I have to show you is called Halloween Night. 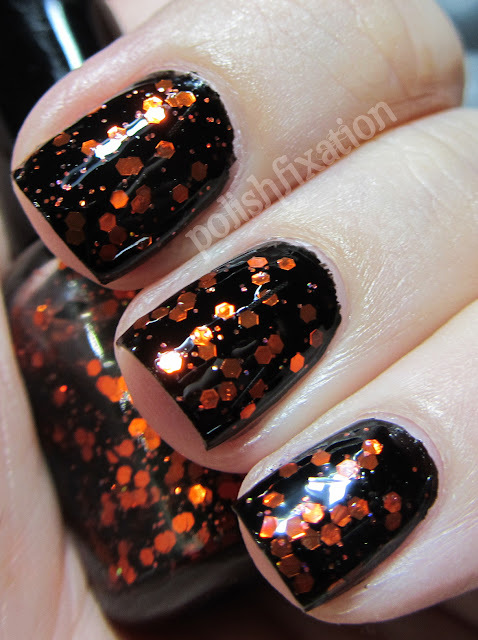 The polish description is as follows: "Lots of black diamonds and stripes with orange iridescent and hex glitter all in a sheer black suspension base is used to make this gorgeous combination." 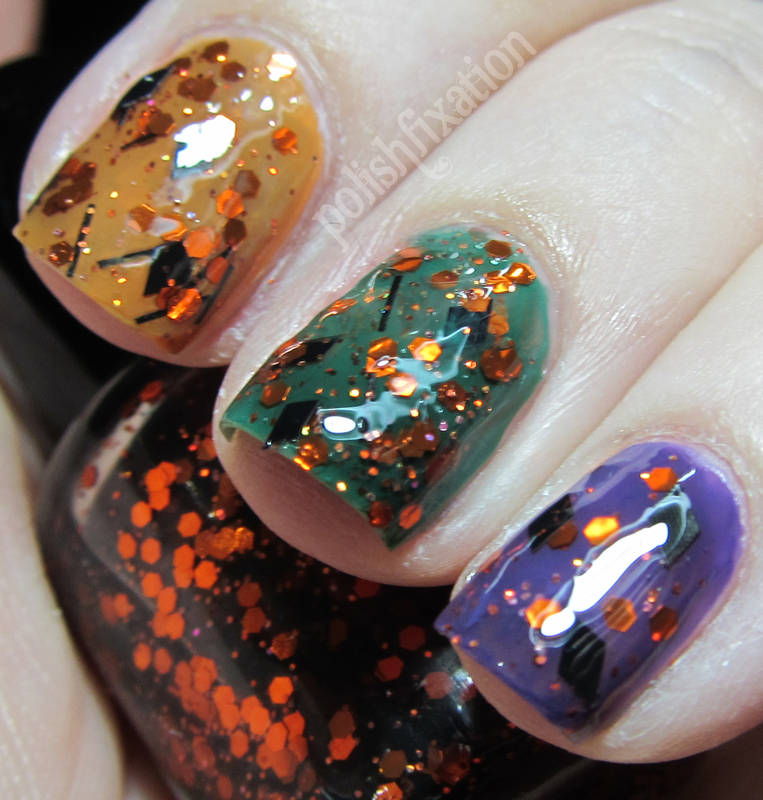 This combination allows you to see the complexity of the glitter mix, but it did not feel very "halloweey" to me. I totally dig this color over the purple especially! I think you can see that this glitter mix is really versatile and can be used to get a lot of different, festive looks! As far as formula, it was pretty easy to apply to the nails. With glitters like these I tend to like a slightly thicker base better in order for the glitter to be picked up more easily, but it wasn't hard to do this by any means. I needed about 2 coats to get the coverage shown in my pictures, as well as a few strategic glitter placements to fill in gaps. Overall I think this is a really nice glitter polish that would be a great addition to any good holiday polish collector's stash! 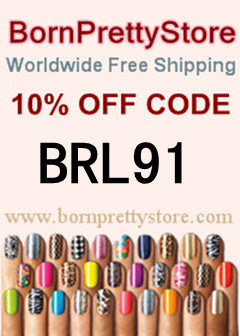 You can find this and several other great looking polishes at the Starrily Etsy Store. Full size bottles are $8.50 and minis are $4.75. There is currently a promo going on where you get a free mini when you buy 4-full size bottles. You can also like Starrily on Facebook to stay up to date with the latest released and information! What do you think of this glitter? Are you getting excited for Halloween? It looks so awesome over purple!!! I want this. I haven't gotten any halloween polishes yet! I love it over the caramel color! Cannot wait for Halloween (and cool weather). So fun! I love love it over purple! I like this best over the black. I would even wear it outside of October! I love it over the purple!